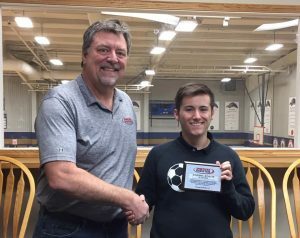 This week’s Sportsfan 1330 Student/Athlete of the Week award goes to Rockford Christian senior soccer player Max Cincinnati. 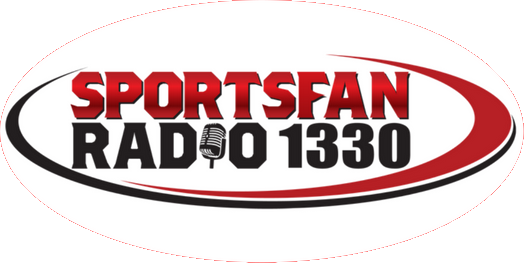 The award, sponsored by Forest City Dental, honors those athletes who are as big – if not bigger – successes off the court or field. It focuses on young men and women who excel in the classroom, in their schools and in their community. Max not only does that, but he even reaches out beyond his community. On the field, he has starred for the Royal Lions for four seasons, helping lead them to three regional titles. But there is so much more to Max than his prowess on the soccer field. He carries a 4.68 grade point average, and he does it while taking several AP Classes. And of course, with numbers like that, he is on the National Honor Society. But as mentioned earlier, Max’s work goes beyond the school. In fact it goes beyond the borders of our country. Last week, he returned from his second trip to the Dominican Republic where he has served on a mission trip to help build and work on houses, schools and churches. He truly defines what this award is all about. To see our presentation video, click here.